The prolonged Sibanye-Stillwater strike, which began in November 2018, has turned violent with ‘nine deaths reported and about 62 houses burnt down’. Mineral Resources Minister Gwede Mantashe has called on Police Minister Bheki Cele to intervene in the current instability in Carletonville in the West Rand, to restore and safeguard the safety and security of the community. The prolonged Sibanye-Stillwater strike, which began in November 2018, has turned violent and has had a negative effect on communities in the area with nine deaths reported and about 62 houses burnt down, the Mineral Resources Department said in a statement. 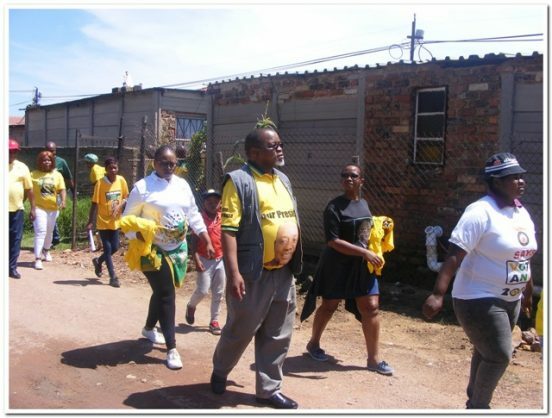 Meanwhile, the Association of Mineworkers and Construction Union (Amcu) has criticised Mantashe over his comments on health and safety at the mines, saying it shows a lack of concern for mine workers. “The union repeats its submissions that mining bosses should be prosecuted for fatalities while it also slams the Congress of South African Trade Unions (COSATU) and its affiliated trade unions for being in alliance with the ruling party,” Amcu president Joseph Matunjwa said in a statement on Tuesday. He said that the union wanted the Mine Health and Safety Act to be amended to include prosecution of mining bosses for mine accidents and fatalities. At a March 1 media briefing on the Mine Health and Safety Statistics, Mathunjwa, who attended the event, criticised the mining bosses for avoiding spending money on safety measures at their mines, “instead choosing to give themselves hyper bonuses and hyper increases to their already mammoth basic salaries”. He said the three-month strike at Sibanye-Stillwater’s gold operations in the Free State and on the West-Rand was a fight for a living wage and better working conditions. He said Mantashe’s preoccupation with damage to business when Amcu called for prosecution of mine bosses for fatalities in mining accidents “exposed the true colours of the Department of Mineral Resources”. The Amcu president also criticised the biggest trade union federation in South Africa, Coasatu, for its continued alignment with the ruling party, calling the tripartite alliance a compromise of the progress of workers’ struggles.